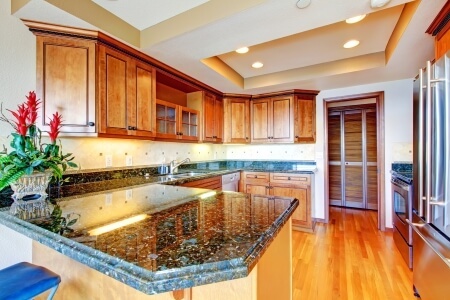 Call Us If You’re Looking For Granite Countertops For Your Rochester Hills Home! We are here for you. That’s more than just words. 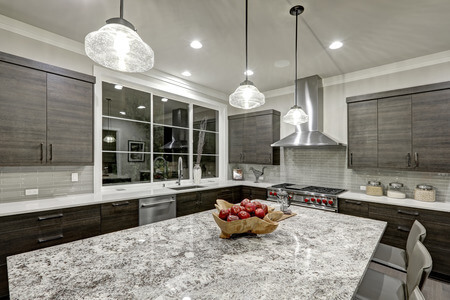 We have been privileged to install premium granite countertops for hundreds of Rochester Hills homeowners and we want you to be the next satisfied customer. 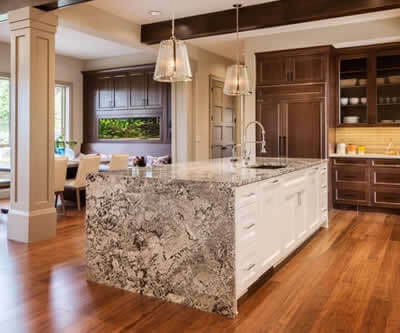 Even more rewarding is that we have thousands of satisfied homeowners and businesses who chose us to provide and install granite, marble, quartz and stone products for them. 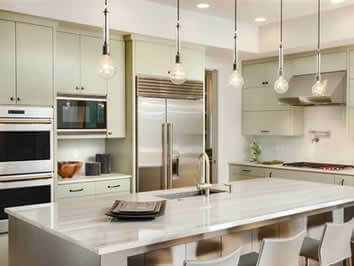 We are one of the largest, locally owned and operated granite companies in Michigan. And, we are centrally located in Troy, MI where residents and business owners can come from Rochester Hills, and other surrounding cities to get their granite. There is nothing like a beautiful new granite countertop, whether it’s in your kitchen, bathroom, even your fireplace surround or Jacuzzi. 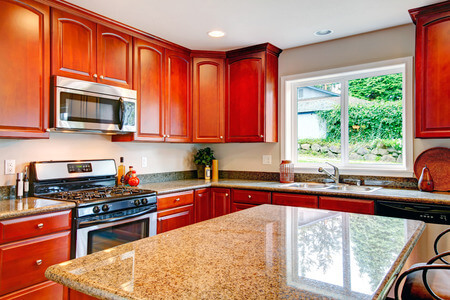 Wherever you want new granite, we’ll put it. BEST CUSTOMER SERVICE, GREAT PRICES & EXCELLENT WORK! We have used Extreme Granite for +5 years. You must see all the slabs. They run a good shop. 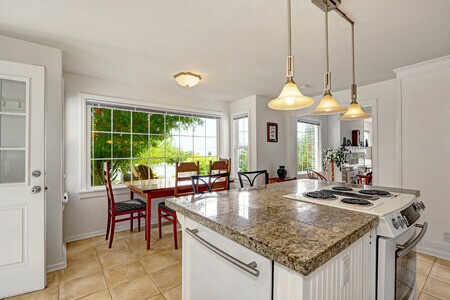 We love satisfying your granite countertop needs so much that we provide a free in-home estimate for you. Call us at 248.307.0832 and schedule an appointment for a free estimate, and we’ll come right to your Rochester Hills residence to service you. Then we’re sure that you’ll enjoy browsing the many slabs of granite we have for you in our 22,000 square foot showroom. While you’re in the showroom one of our knowledgeable sales persons will be with you to answer your questions and concerns. Once you have chosen the granite slab you want, allow our professional craftsmen to measure cut and install it for you. You can rely on our state-of-the-art facility with the latest tools and technology to fabricate your granite or slabs to perfection. No matter the shape or dimensions, it will come out perfectly. There are several other reasons why our neighbors in Rochester Hills should choose us to provide and install their new granite countertops. The best way to experience our products and services is to call us today at 248.307.0832 for a free quote.